SoCal anglers should be excited to learn that Gamakatsu, maker of premium quality hooks and tackle has created the Spring Lock Monster hook for swimbaits and soft plastics used for calico bass, yellowtail and more. Go big or go home. When conditions call for big baits, Gamakatsu’s new Spring Lock Monster is precisely designed to hold and position them perfectly straight and firmly attached. 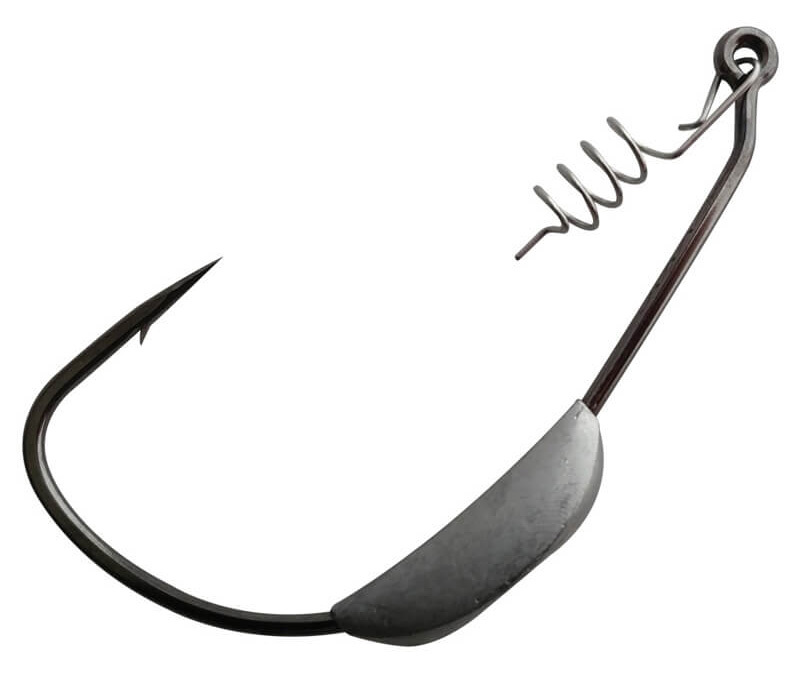 Weighted with 3/8 or 1/2 ounce lead, the Spring Lock Monster stands up to aggressive casts and viciously hard hook sets. The “center point” bait screw is easy to start and tighten. Baits stay straight every time and all the time. 9/0, 10/0 or 12/0 hook sizes await trophy-caliber catches. Visit the Gamakatsu website for these and other great new products for 2019. Check out more from Gamakatsu on BD.